…With regard to educational and cultural institutions of all kinds, the plan is simple: put Sangh loyalists into positions of control and authority in each and every case. If the BJP is in power, appointments favourable for the party are made by the central or state governments. If they are not in power in a state, this cannot be done directly. The BJP, then, uses governmental pressure to ensure this. Coming under the scope of the Sangh, then, are heads and senior personnel of central and state universities and research institutions; bodies empowered to determine the content of textbooks for government schools at central and state levels; cultural academies of various kinds; archival centres; training institutes, from the select and prestigious Indian Institutes of Technology (IITs), to those institutes producing film and television graduates; censorship boards; and so on. Besides this, the Sangh has its own network of schools. It is the biggest such private network in the country. They can substantially determine the curriculum and have it approved by its own state governments. In July 2016, the central government announced that it would institute a cultural mapping of artistes of various kinds into three categories – ‘Outstanding’, ‘Promising’ and ‘Waiting’ – for the purposes of sanctioning official funds and trips abroad. This, of course, is a way to introduce its own system of patronage to gain loyal members within the cultural sector. … Shortly after his victory, Modi ordered the Information and Broadcasting Ministry to carefully start monitoring issues trending in the social media. In particular, there was to be a close vigil on people tagging Modi by name in blogs, tweets, and Facebook posts. This obviously creates the possibility of data being passed on to intelligence agencies like the Intelligence Bureau, whose former head, A. Doval, is now the national security advisor at the PMO; to the Research and Analysis Wing; and to the Central Monitoring System, which is a clandestine electronic mass-surveillance data-mining programme. Modi has not proposed privacy legislation that would protect personal data from abusive use by government authorities. In fact, a stronger surveillance state is being constructed. 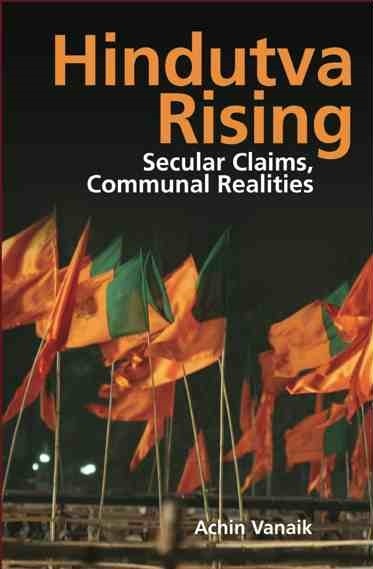 This freshly edited extract has been published from Hindutva Rising: Secular Claims, Communal Realities, by Achin Vanaik, New Delhi: Tulika Books, 2015, with permission from the publishers.